Baked Bacon Ranch Jalapeño Poppers are delicious and I must say one of my favorite recipes for jalapeño poppers. These Baked Bacon Ranch Jalapeño Poppers are also one of the easiest jalapeño snacks to make and a perfect Super Bowl or game day appetizer. I won’t go so far as to say that Baked Bacon Ranch Jalapeño Poppers are healthy, but they are definitely healthier than their cousins, fried jalapeño poppers! I promise you won’t miss the extra calories or the frying and all of the mess that goes along with it. These delicious appetizers will fairly fly off the plate so you might want to consider making a double batch. They are that good! You may have noticed that I have a number of appetizer recipes on my blog and it’s because I love them! If I could, I would have a small plate of appetizers instead of a regular meal most days. I know, it’s weird, but I’m guessing there are at least a few of you out there who are with me, right? If you like jalapeño poppers, I know you will also love my Easy Halloween Jalapeño Mummies! 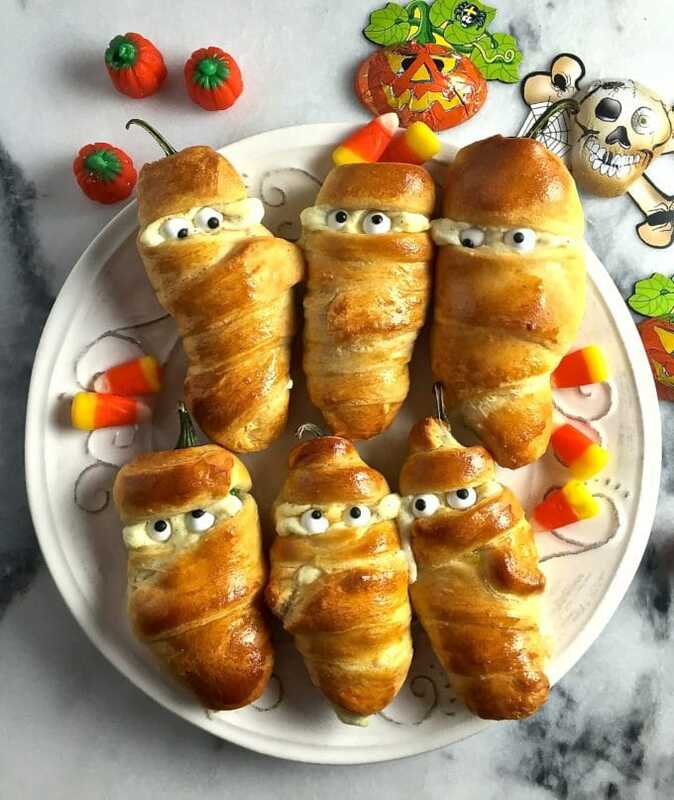 These super cute, yummy snacks are one of my most popular recipes and although I originally made them for Halloween, they are also perfect to serve at a Super Bowl party or even as a healthy after-school snack for your kids. After all, who could resist these tasty treats? 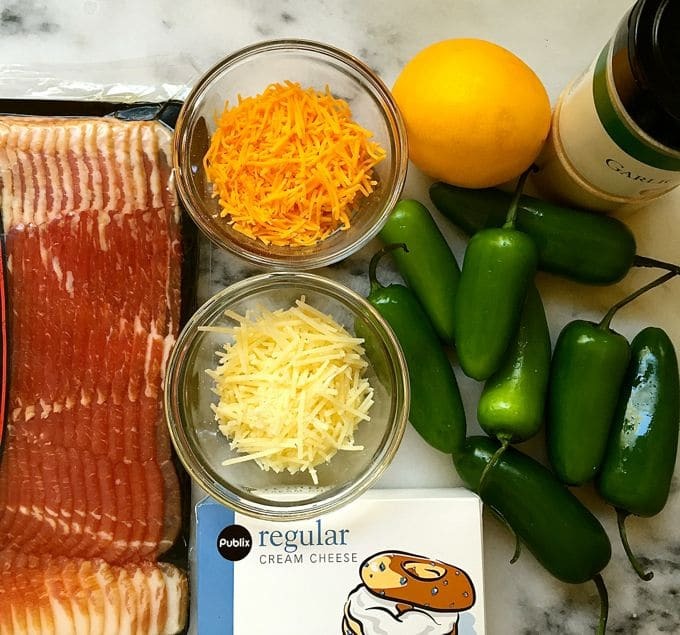 The ingredients for Baked Bacon Ranch Jalapeño Poppers are just what you think they would be: jalapeños, cream cheese, dry ranch salad dressing, sharp cheddar cheese, Parmesan cheese (you could really substitute any kind of grated cheese) and, of course, the star of the show – bacon! Note: In the picture above, I have a lemon which I was going to zest and garlic salt, but changed my mind and decided to try the ranch seasoning instead. 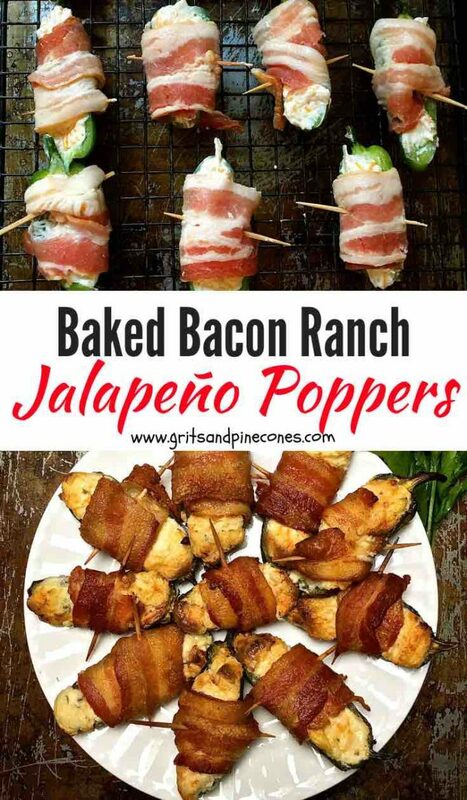 To make Baked Bacon Ranch Jalapeño Poppers gather your ingredients and preheat the oven to 400 degrees F.
Slice the jalapeño peppers in half lengthwise. Fill the jalapeño peppers with the cheese mixture. Don’t overfill or the cheese will ooze out while baking. Wrap a slice of bacon around the jalapeño and secure with a toothpick. 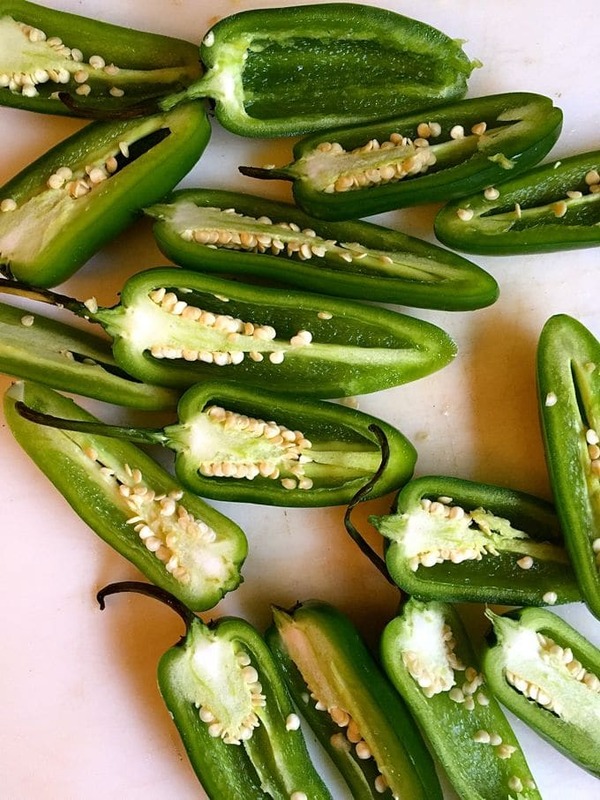 Place the prepared jalapeños on a wire rack which has been lightly sprayed with cooking spray and set inside of a baking sheet with sides. Bake for about 25 minutes, or until the bacon is brown and crispy. Serve warm. 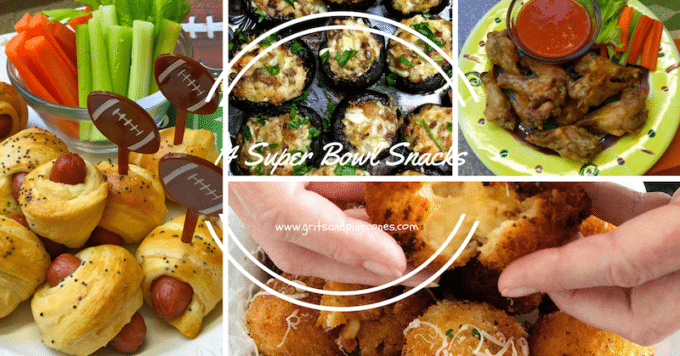 Looking for even more ideas for Super Bowl Food or party appetizers? 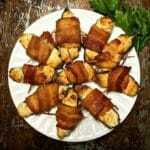 Check out my Score Big with 10 Super Bowl Snacks post. These Baked Bacon Ranch Jalapeño Poppers are one of the easiest and most delicious jalapeño snacks to prepare and a perfect Super Bowl or game day appetizer. 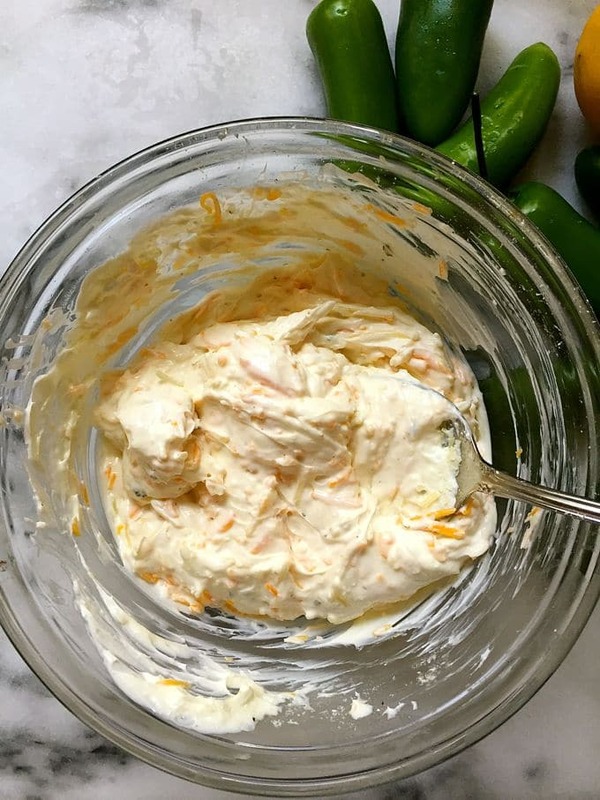 In a small bowl mix the cream cheese, ranch seasoning mix, cheddar cheese and Parmesan cheese. Mix well. 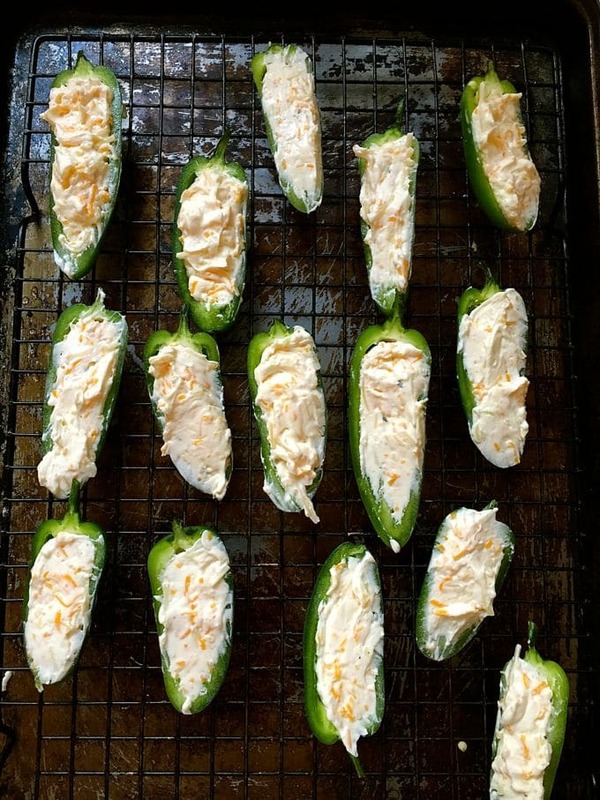 Fill the jalapeño peppers with the cheese mixture. Don't overfill or the cheese will ooze out while baking. 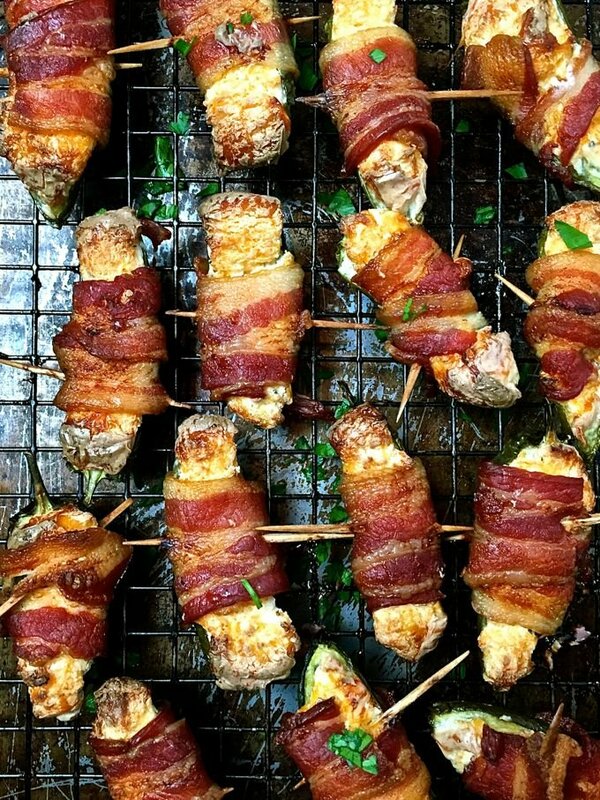 These bacon wrapped jalapeño poppers are delicious!!!! Perfect for Superbowl. A definite crowd pleaser. Remind me this summer and I will bring you fresh jalapeños from the garden. Thanks so much Velva! That would be awesome about the jalapeños. We have so much shade we can’t have a garden! I’m going to share this recipe with my hubby. 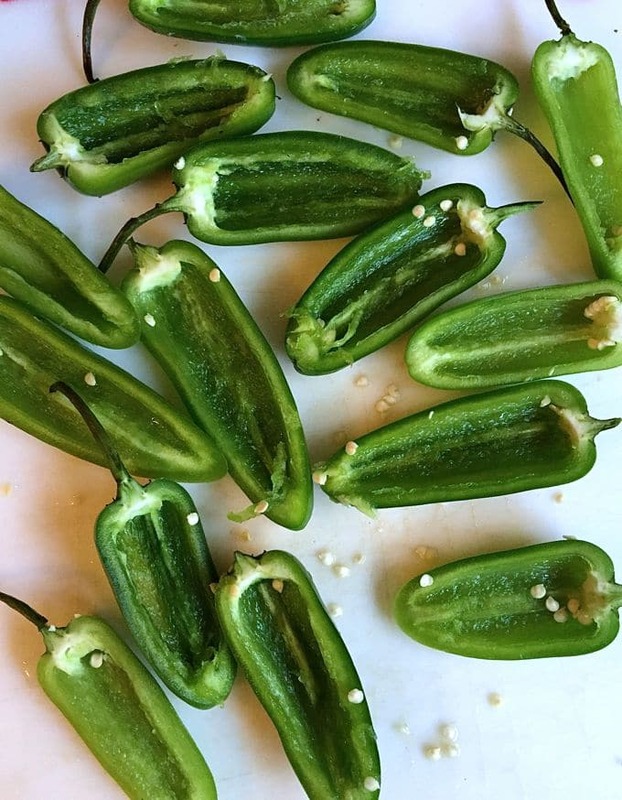 Jalapeno poppers are his passion and his specialty! These look awesome! 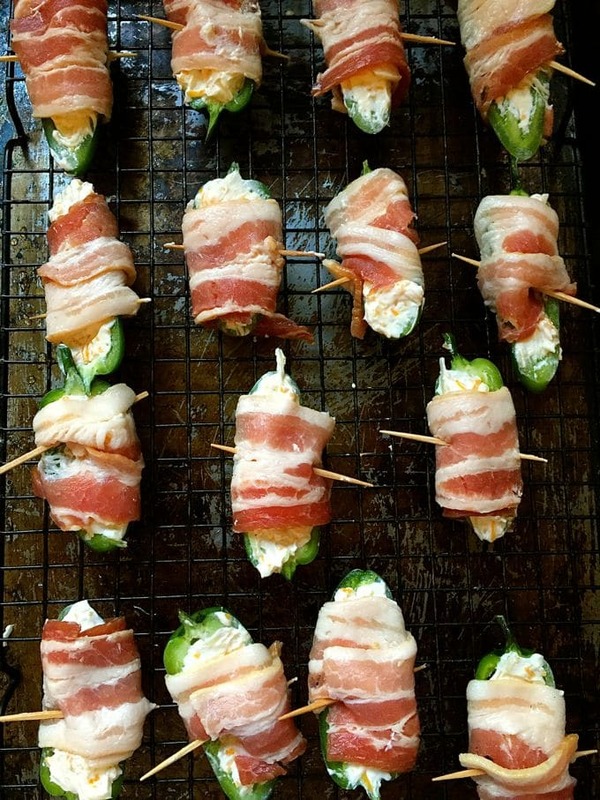 I love these Bacon Jalapeno poppers, Sharon. I like spicy food, and I am on a low-carb high-fat diet. 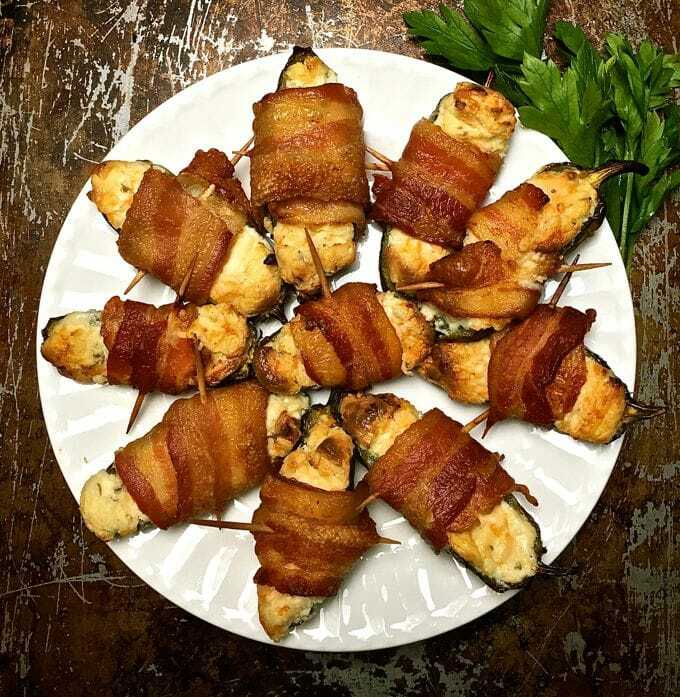 So the cheese and bacon wrapped with jalapeno make a good snack for me.